The controversial story of British teenager Shamima Begum has dominated the news in recent days. Shamima left the UK in February 2015 to travel to Syria at the age of 15. She was very recently found in a Syrian refugee camp, heavily pregnant, after she had escaped from an Islamic State stronghold in eastern Syria. She spoke of having married an IS fighter and already losing her two children to malnutrition. Last week’s Shamima’s family issued a statement stating that Shamima was a “total innocent” and had been “groomed” by ISIS sympathisers. Home Secretary Sajid Javid made it absolutely clear that he would not hesitate to prevent Shamima returning to the UK and she would face potential prosecution if she did manage to return. It didn’t help that Shamima had no regrets about joining ISIS. The legal question is this: how can the government stop Shamima returning? shall be free to live in, and to come and go into and from, the United Kingdom without let or hindrance except such as may be required under and in accordance with this Act to enable their right to be established or as may be otherwise lawfully imposed on any person. There are examples of lawful interference with the right of abode. One of the powers available for the Home Secretary is to apply to court for a ‘temporary exclusion order’, or make one on an emergency basis. TEOs were, according to the independent reviewer of terrorism legislation, “a reaction to the spate of British citizens travelling to fight in Syria and Iraq, and were designed for the specific purpose of managing their return”. The legal basis for TEOs is the Counter-Terrorism and Security Act 2015. The power would be available where there is evidence that Shamima had been involved in terrorism-related activity. (2) The Secretary of State may impose a temporary exclusion order on an individual if conditions A to E are met. (3) Condition A is that the Secretary of State reasonably suspects that the individual is, or has been, involved in terrorism-related activity outside the United Kingdom. (4) Condition B is that the Secretary of State reasonably considers that it is necessary, for purposes connected with protecting members of the public in the United Kingdom from a risk of terrorism, for a temporary exclusion order to be imposed on the individual. (5) Condition C is that the Secretary of State reasonably considers that the individual is outside the United Kingdom. (6) Condition D is that the individual has the right of abode in the United Kingdom. (b) the Secretary of State reasonably considers that the urgency of the case requires a temporary exclusion order to be imposed without obtaining such permission. The practical effect of the TEO is that Shamima’s passport would be invalidated. However, the Home Secretary must permit entry if Shamima agreed to certain conditions such as taking part in a de-radicalisation programme, reporting to a police station etc. The imposition of a temporary exclusion order does not prevent a further temporary exclusion order from being imposed on the excluded individual (including in a case where an order ceases to be in force at the expiry of its two year duration). In theory, this suggests that a British citizen could be excluded from the United Kingdom indefinitely using TEOs if all the conditions were met, although any attempt to use a “temporary” power over the long term would be subject to the usual public law principles of fairness and reasonableness — and bound to end up in the courts. As such, the other hot topic is whether the Home Secretary can use the draconian power of depriving Shamima of her British citizenship. Section 40(2) of the British Nationality Act 1981, as amended, says that “the Secretary of State may by order deprive a person of a citizenship status if the Secretary of State is satisfied that deprivation is conducive to the public good”. 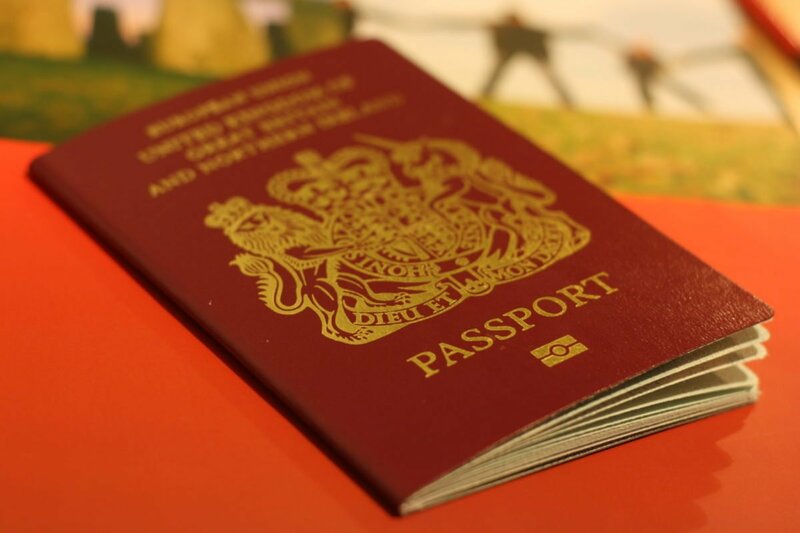 A person without British citizenship is in a much weaker position when it comes to the right to live in the UK, even if they have lived here all their life. This is demonstrated by the deportation of people with criminal convictions who grew up in the UK but did not acquire citizenship. As Colin has outlined in several articles on the subject, the power to deprive a person of their British citizenship on the grounds of behaviour was very rarely used until quite recently. Deprivation powers were not used at all between 1973 and 2002. The government has refused to release any recent Freedom of Information data on the use of this power, but previous figures showed a sharp increase over the past decade, with 81 instances since 2006. The Home Secretary now says that the power has been used “more than 100 times”. The recent case of Pham v Secretary of State for the Home Department  EWCA Civ 2064 demonstrated that a British citizen can be deprived of his citizenship if he shows disloyalty to the state. Mr Pham, however, was a direct participant in terrorism abroad. But the deprivation of citizenship power also has legal limits. Decades ago, the UK signed up to the Convention relating to the Status of Stateless Persons, 1954 and the Convention on the Reduction of Statelessness, 1961. The 1961 Convention said that a state could not deprive a person of their nationality if that would make the person stateless. There was an exception: Article 8(3) permitted statelessness if the person had “conducted himself in a manner seriously prejudicial to the vital interests of the state”. Nevertheless, UK law never allowed a person to be stripped of his or her British nationality without another to fall back on. In 2013, the case of Al Jedda hit the Supreme Court. The government (unsuccessfully) argued that Mr Jedda should be deprived of his citizenship for national security reasons. They argued that Mr Jedda could be made stateless because he could obtain Iraqi nationality. The court disagreed. The Home Secretary had reasonable grounds to believe that the person might be able to become a national of another country. How does all of this apply to Shamima? It’s not clear whether she is British by birth or whether she is British by naturalisation. It’s unlikely that Shamima is naturalised as British as she is described as being a 15-year-old British teenager at the time she left. A person cannot be naturalised under the 1981 Act unless they are of “full age”, i.e. 18, so it is likely that Shamima was either born British or was registered as British at a young age. Neither is it clear whether she already holds another nationality or would be eligible for one. These are important questions. If Shamima does hold another citizenship, then it would be open to the Home Secretary to deprive her of her British citizenship regardless of whether it was acquired by birth or not. This is because it would not make her stateless. If Shamima does not hold another citizenship but would be eligible for one, then the Home Secretary can only deprive her of her British citizenship if Shamima was naturalised as British. That is because the effect of the deprivation would make Shamima stateless. Shamima’s mother is reportedly Bangladeshi. Whether that means that Shamima could also become Bangladeshi is a matter of Bangladeshi nationality law, in which there seems to be an emphasis on citizenship passing through bloodline (jus sanguinis) regardless of the place of birth. If that is correct, it could potentially mean that Shamima is already Bangladeshi by birth (even though she may not hold a Bangladeshi passport). Thus, it would be open for the Home Secretary to deprive her of her British citizenship as a matter of UK law. Our view is that this would be illegal because they would make her a stateless person, in breach of international law. We are surprised the home secretary does not understand international law, or care about international law. If he were to attempt to put such orders on, we would explore all legal options to block his unlawful actions or appeal. If we can get an injunction, we will. As we have seen, it is difficult to be sure without having all relevant information to hand. More details may come to light if the Home Secretary does take the drastic step of exercising the deprivation of citizenship power in this case.